is a musician, performance artist, dancer, filmmaker and educator from Chicago, Illinois. 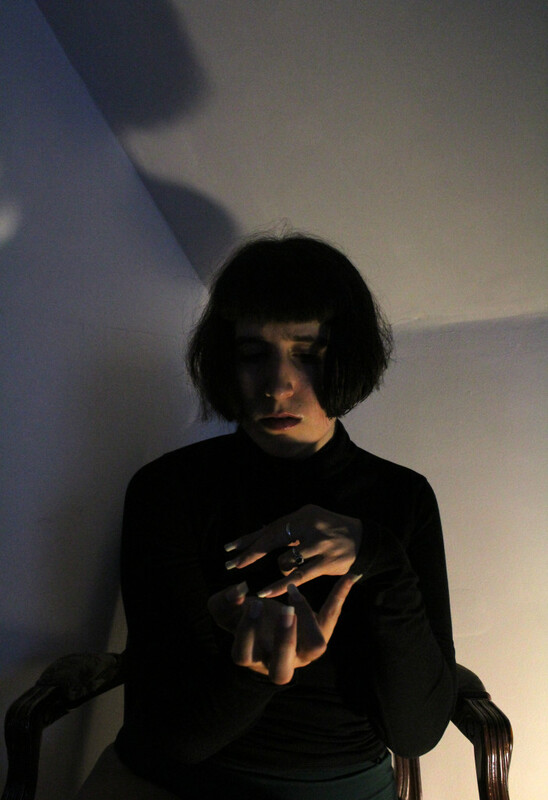 In performance, she explores the relationship between abstract sound and meta-primordial movement, obliquely confronting ideas of masculine subjugation by re-appropriating and then distorting hegemonically sexualised figurative motion and juxtaposing it with random, abrasive and jarring acoustic and electronic sound components along with wordless vocalisations. A joyfully self-exorcizing ritualist, Kurdi studied voice and dance with legendary vocalist, dancer and ECM recording artist Meredith Monk via The House Foundation for the Arts as well as learning Japanese dance tradition Butoh with Tasdashi Endo, director of the Butoh Center MAMU and Butoh Festivals in Germany, and Mexican master of the form Diego Piñon. Kurdi’s engaging, lively workshops are focused on movement, voice and theatrical techniques with an emphasis on freedom of movement, spontaneity, meditative improvisation and the relationship between body and voice. She encourages participants to free their voices with wordless song and phonemes and builds interdependence between sound and movement through exercises built on trust, listening and slow, concentrated, ‘soul’-generated theatrics. Participants need to bring a pillow and their own lunch as well as come dressed in movement clothes. Für die Teilnahme ist eine verbindliche Anmeldung und Vorauszahlung des Beitrages erforderlich! Kontoinhaber: VzF von Phonographie und experimenteller Musik e.V.